​help from a devoted and skillful small team. Enjoy! 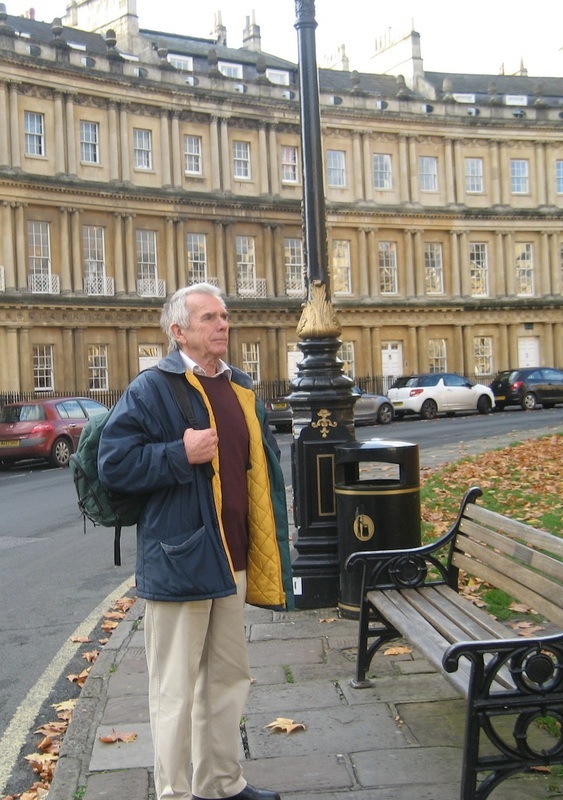 This is the web site for prizewinning author and publisher Brian John. Here you can find out a good deal about the author, together with much information about his published output. If you have any queries, please use the Contact form which can be reached via the Menu bar. Brian's books can also be purchased directly from this site, via the "Bookshop" page, using PayPal. You do not need to have a Paypal account to use this facility. All books sold via this web site are signed by the author. Having run out of stock of the first novel in the series, I have been working with the printers on a new printing with a slightly different format, making it slimmer and easier to read. Delivery from the printer was on 20th August 2018. On checking through my records since publication in 2001, I have realised that this is the TENTH printing, and that about 36,000 copies have now been sold. I'm rather pleased about that, given that the book -- like the others in the Saga -- has been published on a full commercial risk basis, without any grant aid or other subsidies from Welsh Books Council or Literature Wales. This new book was published on 1st June 2018. I had been working on it in conditions of great secrecy for the previous twelve months, and it replaced "The Bluestone Enigma" which had been through several reprints and was out of print. English Heritage snapped up the last 100 copies of the old title, and has also purchased the new one. In this new book -- considerably expanded -- there are several completely new chapters, and all of the old chapters have been rewritten and brought up to date. Greencroft Books, 256 pp, 110 illustrations. Full-colour A5 paperback. One hundred years ago it was discovered that the Stonehenge bluestones had come from a small area in West Wales. Since then, the stones have been at the centre of one of the greatest controversies in prehistory. Geologists and archaeologists have argued about how and when they were moved, and for what purpose. In the discussions, myth-making has unfortunately been a greater priority than sound science. In a dramatic development, following a forensic examination of the evidence from many disciplines, and drawing on exciting new research, earth scientist Brian John now shows that the stones were not quarried or transported by our Neolithic ancestors. Instead, they were carried eastwards by the great Irish Sea Glacier almost half a million years ago, and used where they were found by the builders of Stonehenge. And when the stones ran out, the great building project ground to a halt.......... the great prehistoric icon always was a ruin. This book is a detective story with a difference. Written in an easy and accessible style, and lavishly illustrated, it will cause a fundamental reassessment of “the science of the stones”, upset many archaeologists, and enhance our sense of wonder about the forces at work in the natural world. Of interest to a general readership and also to those who study archaeology, landscape, the history of science, geology and cultural heritage. 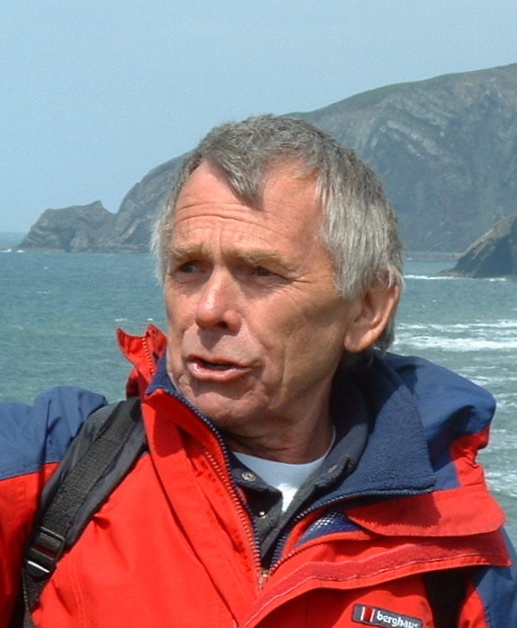 The author Brian John is an earth scientist who has a special interest in the Ice Age. He has more than 90 books to his name, including the best-selling 8-volume Angel Mountain Saga. He lives in the source area of the bluestones, and has studied it in detail for many years. Greencroft Books, Trefelin, Cilgwyn, Newport, Pembrokeshire SA42 0QN. Distribution to the trade: Welsh Books Council, Aberystwyth. Our search for two actresses to read some extracts from the 8 Angel Mountain books as part of a new project to enhance the "branding" of Angel Mountain and Martha Morgan Country was productive, and we now have several offers on file. We will use one younger voice, and one older. Welsh accent obligatory. We will soon hold "audio auditions" -- if you would like to put yourself forward at this late stage, please get in touch. Or please pass this message on to any friend who might be interested. Good luck! As of 6th February 2019, twelve Angel Mountain Newsletters have been distributed via our mailing list. If any reader is not on our list, but would like to join it, please send us a message via our contact page. We will be happy to send you future editions. Brian gave two sessions at the Llangwm Book Festival in August 2017-- that's appropriate, since he played rugby for Llangwm in the good old days, and since his father's side of the family came from the territory thereabouts. 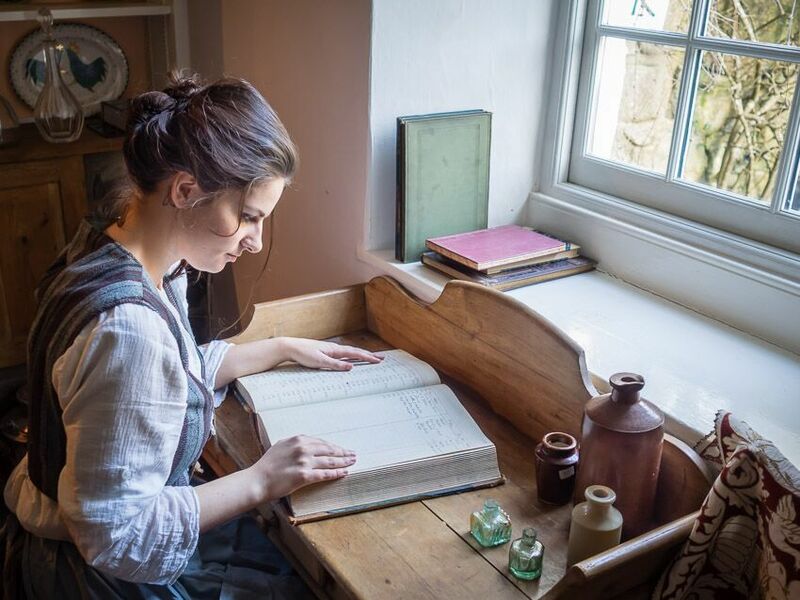 One of the sessions was about writing, and was called "Adventures with a young mistress". The other was a workshop called "How to get published." Both very enjoyable! The eighth revision of the ever-popular Coast Path Guide is now available -- with text and maps brought up to date. Since it first appeared in 1990, it's been through many reprints, and is selling as well as ever. It was fun to do a video interview with Ken and Suzanne from Pembrokeshire Life Online, and to feature in an article on their web site. Sadly, the website has now been discontinued, and the video has disappeared. Suzanne is building a new website of local interest, and we will give information about it in due course. Regular and irregular visitors to this site may be pleased to know that we have now introduced a shopping facility so that all of my titles can be bought online, using Paypal. Just click on the Bookshop link above. Brian's books are now featuring in a new "literary tourism" initiative, called "Martha Morgan Country" and designed to pull new visitors into the region covered in the tales of the Angel Mountain Saga. The launch was in the Boat Club, Parrog, Newport, on Sunday afternoon 3rd April, 2016. At the launch Mistress Martha (played by Rhiannon James, dressed very appropriately) was present to share afternoon tea and griddle cakes with the guests. The guests were welcomed by Cllr Keith Lewis (for RNP), Mayor Andy Benham, and Cllr Paul Harries. There was a short reading from "Dark Angel" by Lis Evans, and Steve Mallett presented his portfolio of photos of Rhiannon -- in appropriate Regency costumes -- taken in many of the key locations from the stories. We also launched the new web site which uses many of the commissioned photos. ﻿There is also a new leaflet about Martha Morgan Country which is currently being distributed across West Wales. On Angel Mountain (Part One), Greencroft Books 2001. ISBN 9780905559803. A5 paperback, 328 pp, £6.99. House of Angels (Part Two), Greencroft Books 2002. ISBN 9780905559810. A5 paperback, 432 pp, £7.99. Dark Angel (Part Three), Greencroft Books 2003. ISBN 9780905559827. A5 paperback, 432 pp, £8.50. Rebecca and the Angels (Part Four), Greencroft Books 2004. ISBN 9780905559834. A5 paperback, 432 pp, £8.50. Flying with Angels (Part Five), Greencroft Books, 2005. ISBN 9780905559841. A5 paperback, 400 pp, £7.99. Guardian Angel (Part Six), Greencroft Books, 2008. ISBN 9780905559865. A5 paperback, 256 pp, £6.99. Sacrifice (Part Seven), Greencroft Books, 2009. ISBN 9780905559902. A5 paperback, 352 pp, £7.99. Conspiracy of Angels (Part Eight), Greencroft Books, 2012. ISBN 9780905559933. A5 paperback, 352 pp, £7.99. A conspiracy / action thriller set in East Greenland during the Cold War. The members of a scientific expedition become the unwitting guinea pigs in a series of grotesque experiments in an arctic wilderness. As the death toll mounts, they uncover a huge conspiracy and realise that an implacable enemy with limitless resources will not allow any of them to survive. The Kindle edition of the new novel is now available. Orders can be placed on any of the Amazon web sites for the E-book version. Order now while stocks last!! For signed copies of the paperback edition, just enter the quantity you need in the box below and then click the button. He has published hundreds of articles and around 90 books, and among his publishers are Collins, Pan, Orbis, Aurum Press/HMSO, Longman, David and Charles, Wiley and Edward Arnold. His published output includes university texts, walking guides, coffee table glossies, and books of popular science. Many of his titles have been published by Greencroft Books, and have been of particular interest to readers in Wales -- for example tourist guides, books of local jokes, walkers' handbooks, and titles on local folklore and traditions. Then came the Angel Mountain Saga......... The novels have received wide acclaim for their narrative skill, their strong sense of place, and their historical authenticity. Much to Brian's surprise, the Saga has been a runaway success, and the heroine, Mistress Martha Morgan, now has a cult following of readers from all over the world. However, the sale of three titles to Transworld Publishers, and their reissue under the Corgi imprint, did not lead to a great increase in sales, and in 2008 Transworld agreed, on request, to pass the rights back to Greencroft Books. So now all translation, film rights etc are currently held by Greencroft Books. 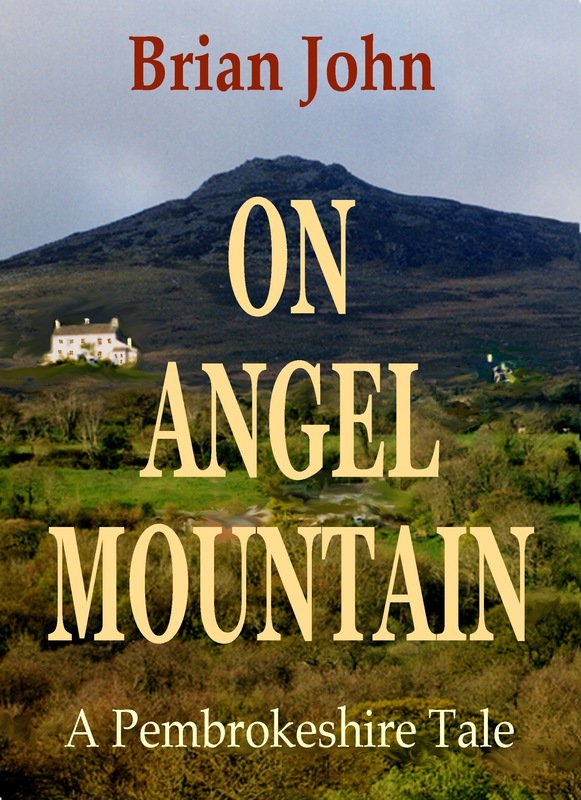 Sales of the paperback editions of the novels are holding up well, and "On Angel Mountain" has now sold about 36,000 copies, excluding Ebook (Kindle) sales. The accumulated paperback sales figure for all the titles in the saga currently stands at about 82,000. Another recent book (reprinted several times) is "The Bluestone Enigma", which takes a controversial look at the various theories used to explain the transport of certain bluestones from West Wales to Stonehenge. Brian's children's story called "The Strange Affair of the Ethiopian Treasure Chest" has been well received, and won the 2011 Wishing Shelf Gold Award for books aimed at the 6-8 year-old age group. That's a great accolade, since the judges were all primary school children from the appropriate age group. During 2013 and 2014 Brian concentrated on the research for his new novel "Acts of God" and on the writing and editing process. In 2015-17 he devoted much time to a campaign to bring the Angel Mountain novels to the small (or large!) screen, as well as continuing with the promotion and marketing of all his 14 titles in print. With illustrator Boz Groden following the launch of the prize-winning children's book called "The Strange Affair of the Ethiopian Treasure Chest." The great majority of illustrations used on this site are my own. Some of the photos of Rhiannon James were taken by photographer Steve Mallett as part of our "Martha Morgan Country" project. Some photos have come from my own photo library, and I believe most of them to be freely available for use under a creative commons license -- covering fair use for non-commercial purposes. However, if any photo copyright holder is unhappy with my use of a photograph, and wants it to be fully acknowledged or removed from the site, please get in touch and I will be happy to oblige.